A celebration of life for Virginia Diane “Ginger” Byerly was recently held in Jackson, Wyo. 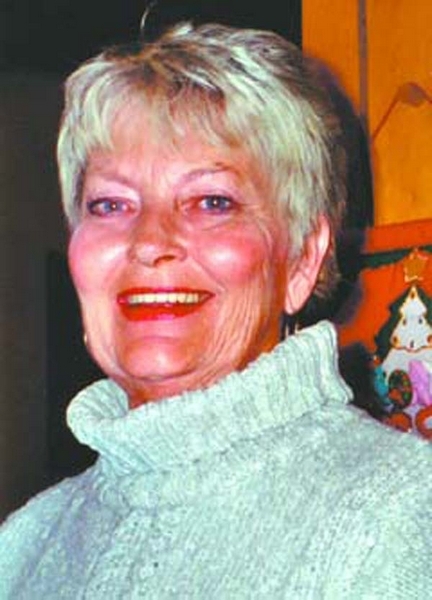 for Virginia “Ginger” Byerly following her death on Aug. 18. Formerly of Summit County, the Jackson Hole and Alpine resident died suddenly after experiencing a series of brain aneurysms. She was 67. Born in Port Clinton, Ohio, on Aug. 27, 1942, to Clarence and Helen Hoard, she was the youngest of three children. She married John Byerly on March 5, 1960. John and Ginger had recently celebrated their 50th wedding anniversary. She helped run the family construction business for 50 years and worked as an accountant in Jackson for several businesses. Ginger’s years in Summit County were well spent giving to the community, serving on the Summit School District Board of Education while raising two sons, Mark and Matt. Ginger was also quite active in the winter sports programs in Summit County, working with the alpine and Nordic ski teams. Son Matt was a member of the US Nordic combined ski team. Ginger is survived by husband, John, sons, Mark and Matt, grandchildren, Chelsea and Charlie, daughter-in-law, Shari, and sister, Gerry Tallman. She was preceded in death by her father, mother and brother, Richard. In lieu of flowers or gifts, please make a donation to a charity of your choice on her behalf. Be in love and light, as she was.